A woman was stopped for possible speeding, but when the moment came for the Georgia cops to decide whether she should be arrested or not, it came as a surprise that they did not exactly base their call on the facts of the case. Instead, they relied on a flip coin mobile app to decide the lady driver’s fate. 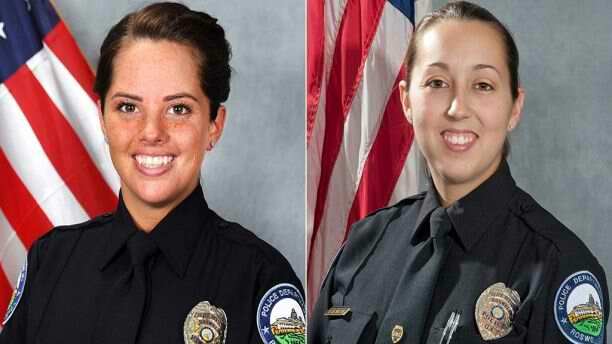 Such was revealed by the body camera video of one of the officers involved, Courtney Brown, when he and another officer Kristee Wilson, stopped Sarah Webb for speeding. The video even showed the Roswell police duo laughing as they used the said coin-flip app to decide whether to arrest or let Webb go. It was Brown who opened the app on her phone. Wilson then suggested that heads should mean arrest while tails should mean release. The “play” continued for the cops as Brown flipped the coin in the app. Before that, Brown admitted that she didn’t have speed detection, but her colleague pointed out that the body camera recorded her cruiser’s speed, which would have shown how fast she was going to catch up to Webb. Still, they dismissed this and went ahead with the flip coin app. “A [arrest] head, R[release] tail,” Wilson said. “This is tails, right?” Wilson asked. “Yeah, so release?” Brown replied. “23 [the police code for arrest],” Wilson responded. Still the officers decided to charge Webb with going too fast for conditions and reckless driving. Brown then arrested Webb, handcuffing her and putting her in the back of a patrol car. Webb was seen crying as she approached the police mobile. With the discovery, the charges made against Webb were dismissed on Monday. Roswell Police Chief Rusty Grant said that as he soon as he learned about the incident he started an internal investigation and put Brown and Wilson on paid administrative leave. Grant has also expressed his disapproval for what his officers did. He said: "I have much higher expectations of our police officers and I am appalled that any law enforcement officer would trivialize the decision-making process of something as important as the arrest of a person."